PRESS RELEASE: World Muslim leader sends Message of Peace to Pope Benedict XVI – For Christians, To be Born Again in Islam! 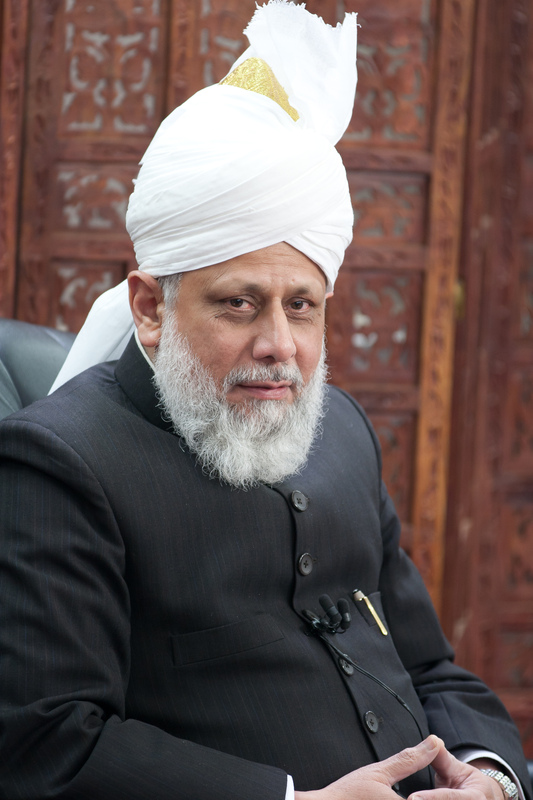 The Head of the Ahmadiyya Muslim Jamaat, Hadhrat Mirza Masroor Ahmad has sent a direct message to Pope Benedict XVI calling for the Pope to use his influence to encourage religious tolerance and the establishment of human values throughout the world. The message was delivered personally by the President of the Ahmadiyya Muslim Jamaat in Kababir, Muhammad Sharif Odeh, who met the Pope as part of an official delegation of renowned Israeli religious scholars. It is with regret that if we now observe the current circumstances of the world closely, we find that the foundation for another world war has already been laid. As a consequence of so many countries having nuclear weapons, grudges and enmities are increasing and the world sits on the precipice of destruction. I believe it is essential, that we urgently increase our efforts to save the world from this destruction. There is an urgent need for mankind to recognise its Creator as this is the only guarantor for the survival of humanity. If a person does not follow a particular teaching properly whilst claiming to subscribe to it, then it is he who is in error, not the teaching. From cover to cover, the Holy Qur’an teaches love, affection, peace, reconciliation and the spirit of sacrifice. Hence, if anybody portrays Islam as an extreme and violent religion filled with teachings of bloodshed, then such a portrayal has no link with the real Islam. The Ahmadiyya Muslim Community practises only the true Islam and works purely to please God Almighty. If any Church or other place of worship stands in need of protection, they will find us standing shoulder to shoulder with them. If any message resonates from our mosques it will only be that of Allah is great and that we bear witness that there is none worthy of worship except Him and Muhammad (peace be upon him) is the Messenger of Allah. It is my prayer that we all understand our responsibilities and play our role in establishing peace and love, and for the recognition of our Creator in the world. We ourselves have prayer, and we constantly beseech Allah that may this destruction of the world be avoided. I pray that we are saved from the destruction that awaits us.